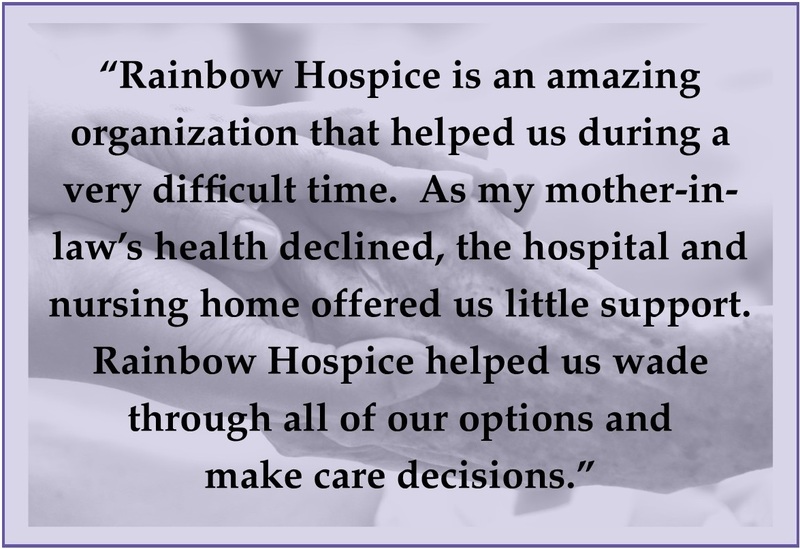 There are four levels of hospice care available depending on each patient and their family’s unique needs. Every life is different, and a patient may receive more than one type of care throughout their journey with hospice care. Routine Hospice Care: The patient receives hospice care at his or her residence, wherever that may be—at his or her home, an assisted living center or a nursing facility. This is the most common level of hospice care. General Inpatient Care: If the patient’s symptoms progress to the point where he or she can no longer be cared for at home, then the patient is eligible for a more intense level of care. General Inpatient Care can be provided in a Medicare-certified hospital, hospice inpatient facility, or nursing facility that has a registered nursing available 24 hours a day to provide direct patient care. Continuous Care: This type of care is provided during times of crisis when the patient is at risk of hospitalization. Skilled nursing staff tends to the patient for longer periods of time—between 8 to 24 hours a day. Respite Care: Provides temporary relief to the patient’s primary caregivers. The patient typically is cared for long term care facility with 24 hour nursing personnel on staff. Respite care can be provided for a maximum for 5 days. The care team will review a patient’s status to determine if a change needs to occur in his or her level of care.